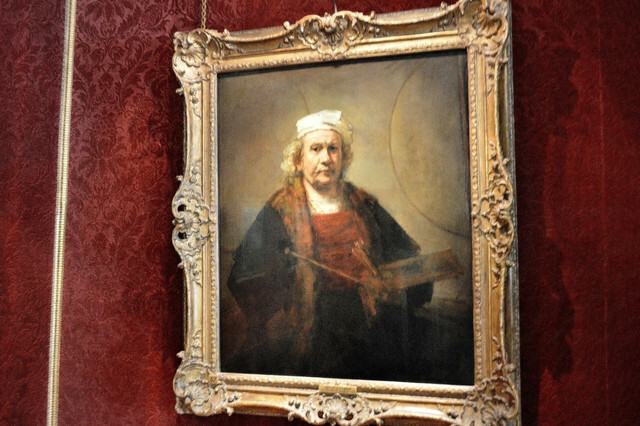 One of his most recognizable paintings was a self-portrait that shows how big an artist was Rembrandt. On the painting, he is holding brushes, palette, and maulstick with two mysterious circles in the background. Many professionals through about what the circles may represent, but none of them had any luck figuring out the right reason. This piece of art was made between 1665 and 1669 and become the greatest masterpieces that he made at an older age. Most of his art can be found in museums, this particular is displayed in London in the Kenwood House. In the center of this painting is Lieutenant Willem van Ruytenburgh along with Captain Frans Banning Cocq with the militia. It has dark contrast with the point put on the Captain and Lieutenant. Many people believed that it was a night scene because of the name. It was painted in 1642, and a few years later it was revealed that it was in daylight. In the 18th century, The Night Watch was relocated and they used this opportunity to make adjustments. Because of this, there was a loss of some characters, most notably on the left side. The biggest change was the change in composition that made the Lieutenant and lightly clothed girl dominant figures of the scene. You can see The Night Watch in Amsterdam in Rijksmuseum. Finished in 1653, The Bathsheba at Her Bath shows Bathsheba being seen by King David from the rooftop of his palace. She was the wife of Uriah the Hittite. It has a Biblical story where pregnancy is involved. The story says that David made her a child and wanted to recall her husband from the army, so he can think he is the father. In the end, King sent him to sure death because Uriah didn’t consume his marriage. He was placed in the front lines, and after his death, Bathsheba and David got married. You can see this painting in Paris in the Louvre Museum. Click here to read more. One of the last works he did in his career was The Return of the Prodigal Son. Many people think that he made this shortly before his death. Like Bathsheba bathing, this is also a Biblical story. The life-sized painting shows a prodigal son that is returning to his father. He is clearly begging for forgiveness and regretting his sins. People that are trying to figure out the characteristics of the painting can’t agree about who are other characters. They can’t decide if the older unforgiving brother is the man standing on the right or the younger one at the doorway. 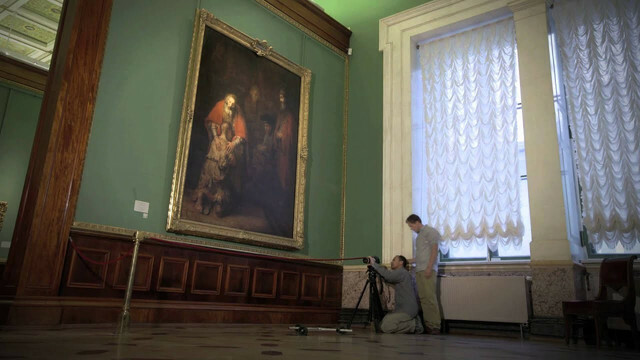 You can see it at the Hermitage Museum, being one of the highlights of Western European art. Showing the leader of the Batavian Rebellion, Rembrandt made his last painting with the secular theme in 1662. The fight was against the Roman Empire and the Batavi chiefs and Claudius Civilis promised to join the rebellion. Town Hall in Amsterdam commissioned the painting, but Rembrandt took it soon after and made big adjustments. He made it only one-quarter of the original size and altered it so it can be sold easier. Royal Swedish Academy of Arts acquired the painting in the 18th century. You can now see it in Stockholm in the National Museum.